Awesome, thanks! Come back and lemme know how it goes! Once this baby bump is gone, I'll be doing it, too! 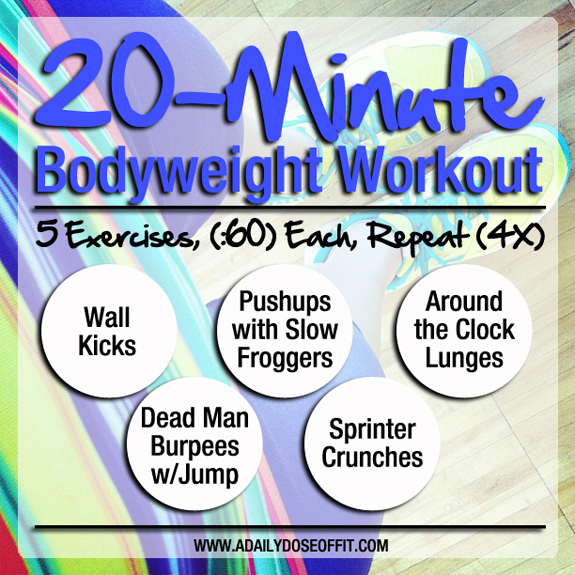 Quick, dirty and effective :-) The best kind of workouts! Its great stuff here. I also workout in gym 3 days in a week but I spent 15-20 minutes per each exercises. Rest of days I go with jogging and yoga and it make me healthy and tension free. Thanks, Johnny! "Healthy and tension free"...best reasons to exercise, right? !